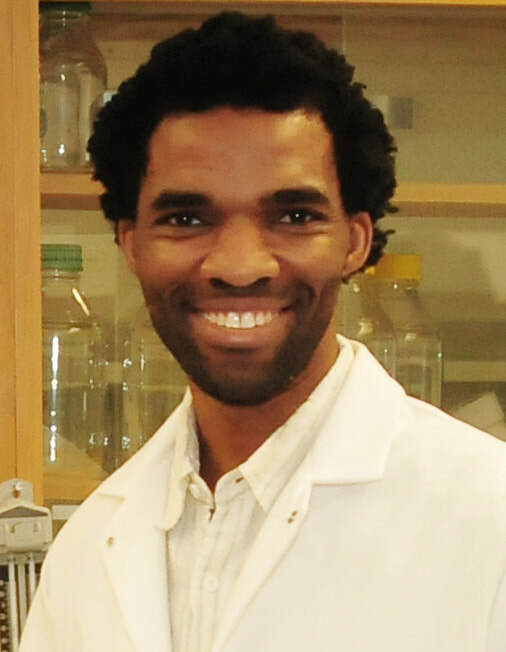 Welcome to the Lawal Lab! Our lab comprises a diverse set of individuals who are working together to answer fundamental questions in neuroscience. We combine molecular, behavioral, genetic and electrophysiological approaches to understand both the mechanisms underyling synaptic neurotransmission and the etiology of neurological disorders such as Parkinson's disease. We invite you to explore our website, and to reach out to us with any questions or comments! To foster scientific discovery through the creation of a diverse, friendly and intellectually rigorous space that equips members with the resources they need to reach their highest potential. - December 2018. Congratulations Sergey (1st place postdoc), Shardae (first place graduate student), and Liam (3rd place undergraduate) on winning awards at the Delaware Neuroscience Symposium 2018! The sweep is a first for DSU and we are proud. - December 2018. Congratulations Liam Joseph on your undergraduate graduation! We are very interested in synaptic neurotransmission! Our research is focused on determining how changes in neurotransmitter release affects behavior and physiology in two neurotransmitter systems, the cholinergic and dopaminergic systems. This topic is both fundamental to neurobiology and important to public health because defects in cholinergic and dopaminergic signaling in part form the basis of neurological conditions such as Alzheimer’s disease and Parkinson’s disease. Moreover, defects in cholinergic synaptic regulation have been associated with behavioral decline seen during aging. Our ultimate objectives are to advance understanding of the mechanisms underlying synaptic neurotransmission and to contribute to the development of therapeutic strategies against neurological disorders like Parkinson’s disease and cognitive deficits associated with aging. What is the precise role of changes in acetylcholine release on synaptic physiology and behavior? How does the vesicular acetylcholine transporter (VAChT) regulate acetylcholine synaptic release? What role does the cholinergic system play during aging? What is the neurotoxic potential of combinations of commonly-used pesticides and how can we use a simple model such as Drosophila to find out? How do the interactions between genes and the environment predispose certain individuals to Parkinson's disease and not other? We are taking advantage of an excellent collection of genetic and molecular tools available in the fruit fly Drosophila melanogaster and a wide array of approaches including biochemistry, behavior, microscopy, and electrophysiology to address these questions. The vesicular acetylcholine transporter mediates the packaging and transport of the acetylcholine for exocytotic release. Below is a schematic of the predicted 12-transmembrane domain structure of that protein. VAChT is expressed in the Mushroom Body the learning and memory center of the fly brain. VAChT is strongly expressed in Kenyon Cells (KCs) of the mushroom body. For details, see Lawal et al. 2017. Drosophila models of Sporadic PD. Drosophila presents a very useful and convenient model to study the effect of environmental toxins on dopaminergic neuron and thus a useful way to measure the potential toxicity induced by environmental risk factors. For details, see Lawal et al. 2010].